Now that the nights are getting darker, and colder I am finding myself watching more television. It doesn’t help that I have become a video games widow. Jesse has become a little bit obsessed with a game known as PUBG. He plays it almost every night, which is fine as it gives me time to blog and watch tv shows that he wouldn’t really be interested in. Although we have actually been watching three on my list below together, so he doesn’t play every night. 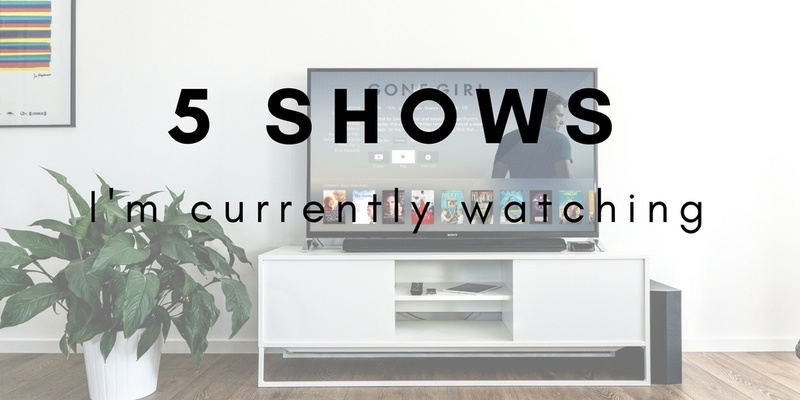 So here are my 5 must watch tv shows at the moment. I absolutely loved the first season and will admit I was a little skeptical about a second. However after reading more about it, it turns out the creators, The Duffer Brothers, have 4 seasons planned out. Now I won’t put any spoilers here, if you’ve seen the first season you kind of know what to expect. There are a few new additions to the cast, and the budget has definitely been increased. We are back in the town of Hawkins, a year on from season 1 and supernatural forces start affecting the town again. Another Marvel show exclusive to Netflix, and actually the first one we’ve actually watched. We did start Daredevil and for some reason didn’t finish it. But we will have to go back and finish it now as The Punisher actually shows up in that first. However don’t let that put you off. You can definitely watch it without having seen the others. Frank Castle aka The Punisher is a man on a mission to get revenge. Set over 13 episodes Frank sets out to get the people responsible for killing his entire family. You can expect lots of violence and blood. The last two episodes were probably the bloodiest episodes of any tv show I’ve watched recently! Now I have cheated a little here as I haven’t actually started this yet – but it is next on my list. Set in 1978 – in the early days of criminal psychology and criminal profiling at the Federal Bureau of Investigation – Mindhunter revolves around FBI agents Holden Ford and Bill Tench, along with a psychologist who interview imprisoned serial killers in order to understand how they think with the hope of applying this knowledge to solving ongoing cases. 4 of the episodes are directed by David Fincher who is one of my favourites, I think I’ve loved pretty much everything he’s done. I can’t wait to start watching. Following straight on from the end of season 1 Archie is dealing with his dad getting shot. Jughead changes schools, gets in deeper with the serpents. There’s a killer on the loose and someone from Veronicas past comes to town. I just wish I didn’t have to wait a week for a new episode. If you haven’t been watching this then you have been missing out. The BBC have always produced stunning nature programmes. I might be the only one but I love watching Countryfile. Both Planet Earth and Blue Planet are amazing, but this latest series of Blue Planet is just stunning. Using the latest technology like drones they are able to get to places they couldn’t before. They’ve discovered underwater lakes and fish they didn’t even know existed. I’m not sure how many episodes are left but I’m sure they will be on iPlayer. Other shows I’ve been watching. Yeah did I mention I watch a lot of TV? A few months ago I finally started Orange is the New Black, however I got a few episodes into season 2 and stopped. I just wasn’t enjoying it, maybe I’ll go back to it in a while. I’ve also finally started on The Vampire Diaries season 8. I had no excuse not to once it came onto Netflix. I’m still not sure I am ready to accept that it will be over. The Vampire Diaries is definitely one of those shows I have a love hate relationship with. But I’ve watched it from the beginning and I really should finish it. I am up to episode 6 so far and there have already been tears. I know that’s probably something I shouldn’t admit but it’s true. If you are looking for more ideas then check out my other posts here, here, and here! As you can see I really like watching TV shows and films. Have you watched anything good lately, I would love to know.